Hydra Regenerating Body Emulsion has an intensive hydrating action on the skin, eliminating imperfections, regenerating deteriorated skin and bringing an active contribution to the rejuvenating effect on cellular membranes. Active ingredients extracted from aloe vera, baobab, sunflower, algae and argan regenerate, nourish and hydrate the skin. They also improve blood circulation, strengthen your skin’s hydrolipidic film, fight against skin ageing and reduce cellulitis. Its ingredients are rich in vitamins A, E, D and F and give the cream exceptional properties for skin care. Vitamins A and F – which are polyunsaturated fatty acids – have an active contribution to skin rejuvenation and cellular membrane regeneration, while vitamin E, an essential antioxidant, delays ageing. The skin is thus intensely hydrated and gains a silky, shiny and healthy look. The cream can be used for daily skin care and, thanks to its pure ingredients, it is suitable for babies, pregnant women or women who recently gave birth. Hydra Regenerating Body Emulsion is also recommended for treating stretch marks. The cream has a long-lasting smoothing and hydrating effect, giving an overall feeling of supreme softness. It is easily absorbed by the body and provides the skin with a delicate, exotic scent. The cream should be applied by massaging it into the area of focus. 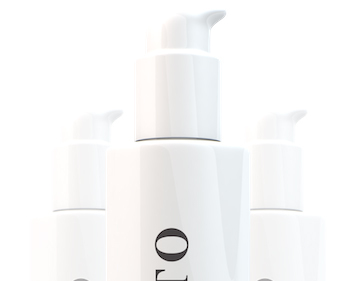 Hydra Regenerating Body Emulsion, with its triple action for skin regeneration and hydration, is part of Fereto’s organic dermocosmetics collection, created together with dermatologists and chemists from laboratories in France and bio-certified by Qualité France. 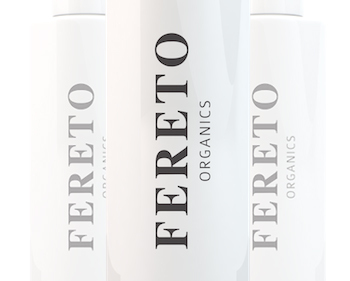 Fereto guarantees respect towards the environment as well as towards our clients, through every aspect of their production process. Our products are made from 100% natural ingredients, have not been tested on animals and their packaging is made from biodegradable recycled materials. We have witnessed incredible results with clients suffering from eczema, dermatitis and rosacea. 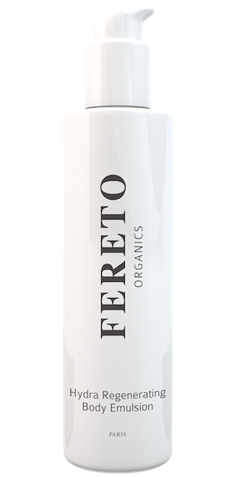 Fereto’s organic products were not necessarily formulated to treat these particular skin conditions, but clearly their pure ingredients have endless benefits.